The brand's good name in the industry is down to a defined structure, thorough preparation for a crisis and a positive attitude to comms, Heineken UK's comms chiefs tell Michelle Perrett. David Paterson, head of public affairs and corporate responsibility We have three teams of five – external comms, public affairs and corporate social responsibility and internal comms. The public affairs and corporate responsibility team covers all the government affairs agenda. This means any regulation, legislation or policies that are going to impact our business. It also includes our community and sustainability agenda and alcohol responsibility. Nigel Pollard, head of external comms We are the corporate relations team and that function reports into the UK management team. The external comms team covers corporate PR, brand PR, some corporate, social and digital and crisis planning management, press office, regulatory and corporate events. What is the benefit of this structure? Pollard Having all the comms functions under one team offers massive synergies and the ability to work together strategically. Paterson We have two big advantages over a lot of corporate comms teams. Firstly, we have a corporate affairs director who sits on the board and we are integrated into the business strategy. Secondly, we have a holistic approach. We don’t have to negotiate with an employee comms team in HR or public affairs that reports into legal. How do you work with the international comms operation? Paterson The global team sets out a really clean framework within which we operate. We get all the support of global activation but we have control over how we do that in our own market. 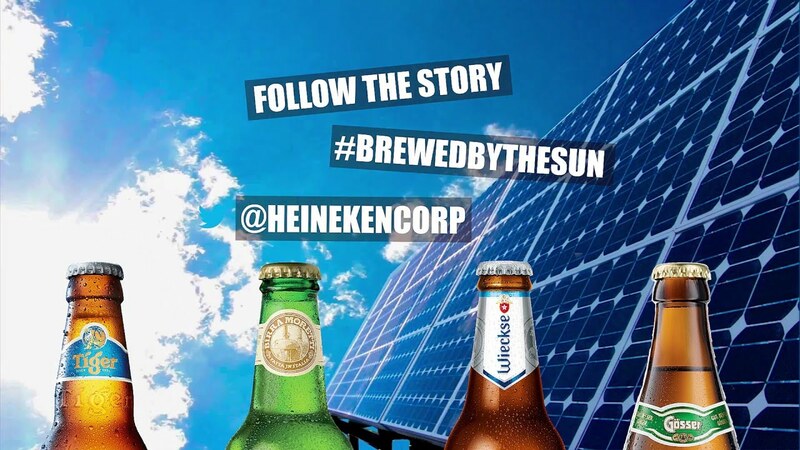 Our Brewed by the Sun campaign is taking a global approach to storytelling on how our breweries are carbon neutral and using solar power to brew beer. We can do some local top-spin on that, such as what we are doing in our brewery in Tadcaster (North Yorkshire). Pollard The international team manages 170 markets and provides leadership on particular areas. It gives us a really great mix of being able to be on the world stage with brands like Heineken and Amstel and really big levers like the Champions League, as well as traditional regional PR around John Smith’s. Pollard For brand PR, we have two agencies [Cow and Exposure], which operate on a project basis. Trade press is immensely important to us and we really invest in that [its trade PR agency is Publicasity]. We also have some corporate support. 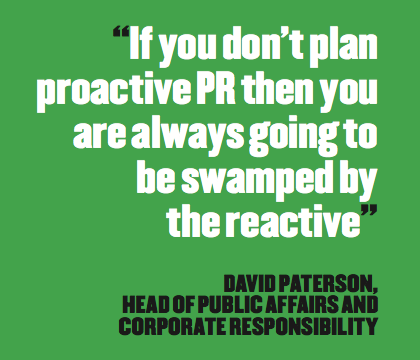 How do you balance reactive and proactive PR? Paterson If you don’t plan to do proactive PR you are always going to be swamped by the reactive. We have a clear plan around what our big must-win battles are. But the reality is that on any given day we are only one phone call away from a particular crisis. Pollard We are a 365-day operation. We don’t sub-contract media calls to an agency as we feel we are agile enough to be able to get answers quickly. When you have so many household brands you are getting a lot of calls on a reactive basis about what Foster’s is doing or what John Smith’s is doing. We also have 1,000 pubs and something could happen where we need to support the licensee. It is about making sure we have access to the answers and that should only be one phone call away. What sort of enquiries do you deal with on a daily basis? Pollard It could be a question from a business writer about premium beer performance, or a fire in the Dog and Duck. We have a policy on big ticket items such as drink driving, minimum pricing and alcohol responsibility. We also try to give as much access to journalists as we can. If a journalist is writing a story about the latest Heineken campaign, they want to hear from the Heineken brand director, not from the PR person. People want access to leadership and not a sanitised version of that. How do you deal with crisis management? Pollard There is a very structured crisis management set-up and a way of reporting an incident though the business. If it comes to a point where it is a significant risk then all of my people are quickly involved in that. We might spot it on social media, and suddenly have a lot of complaints or get a call from a journalist. We can very quickly get the attention of David Forde, our managing director. There is a huge degree of trust when we say something is an issue. Which influencers do you target? Pollard We take trade press really seriously as that is our way to engage with trade customers. We want to be the ‘go to’ voice for beer and cider so we maintain a good, strong relationship with sector writers as well. For brand PR it is very consumer focused. There is still a really strong story to be told in traditional print but of course media are moving progressively towards digital. Paterson For Brewed by the Sun we are taking a blogger to see the brewery and he is activating it to his followers on YouTube, Twitter and Instagram. At the same time you will find it running in trade press and consumer. How do you deal with industry-wide alcohol issues? 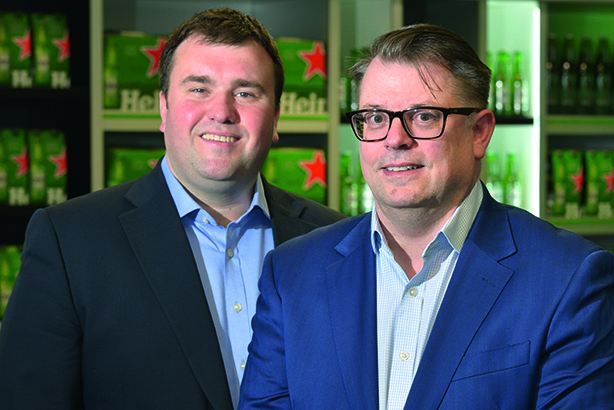 Paterson There are some issues where it is not for Heineken to lead and we work closely with trade associations such as the British Beer & Pub Association. Increasingly when we look at big campaigns we are working with them hand in hand. On the issue of beer duty, it is something that has a big impact on us but impacts all brewers. We can help by engaging our colleagues and they can engage with politicians and social media in a way that is difficult for trade associations to do. What are the main regulatory and public affairs issues facing the business? Paterson The Government wants to regulate the relationship between pub owners and pub tenants. That is an area that we have to work on very carefully to try to get an outcome that is good for everyone. We try to balance that with telling a positive story about what we are doing in our pubs. We take the opportunity to meet with politicians to show the investments we are putting in our pubs. If you are not telling that positive story then when it gets difficult you don’t have the support of people who know the business. How do you approach public affairs? Paterson We try to work constructively so you rarely hear Heineken saying things like ‘this can never work’. We ask, ‘what are you trying to achieve and do you recognise the unintended consequences?’ You have to recognise that the Government regulates but it starts in the right place. It sees an issue and wants to fix it. How do you manage the alcohol responsibility agenda? Paterson We have always taken a leadership position and have to demonstrate action as well as words. We took the decision to de-list products such as high strength white ciders and White Lightning and Strongbow Black. Alcohol consumption is down almost 20 per cent in a decade, underage drinking is down, binge drinking is down, but you have the dichot­omy. At the same time the amount of media coverage about alcohol being a problem is increasing. There is a bit of a disconnect there and we have to keep working at that.